1. 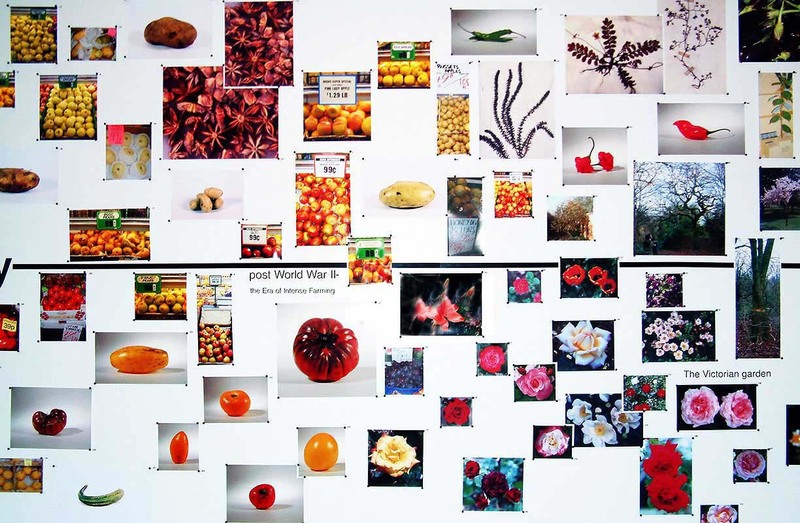 The project explored the origin, growth and contemporary practice of genetic engineering through a series of public field trips and a resulting installation. The ‘Unconscious Selection’ practiced by our ancient ancestors shifted to selective breeding or ‘artificial’ selection and has now evolved into the manipulation of individual genes to create entirely new species. 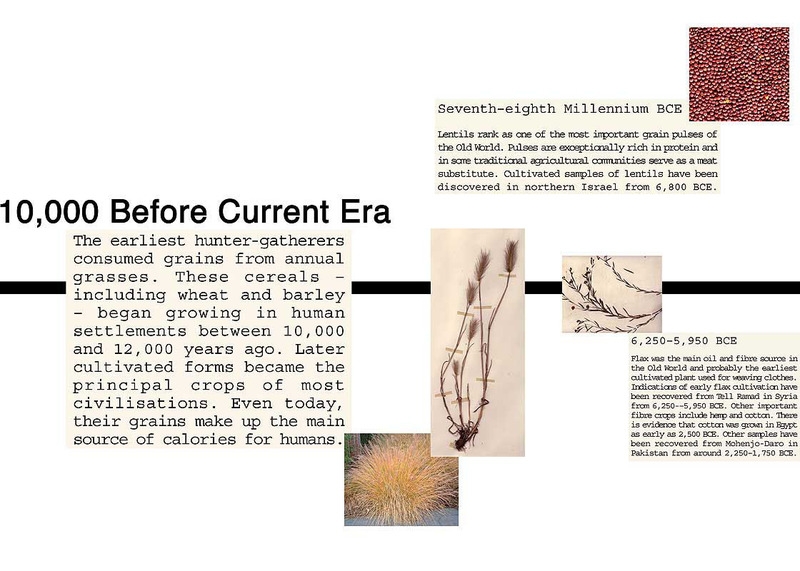 By inviting the public to visit and photograph specimens from local farms, pet stores, urban parks and biotech laboratories, I attempted to investigate the history of humankind’s struggle for dominance over natural evolutionary forces. 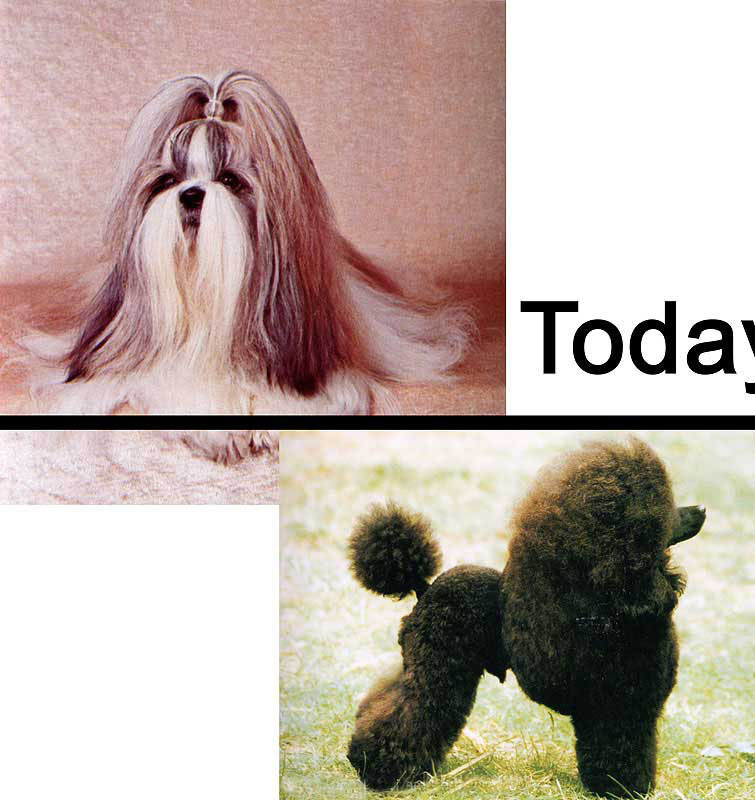 From these excursions, thousands of images of species/breeds were generated and used to create an enormous visual timeline (over- 35 meters in length and curated from over 9000 images!) representing 25,000 BCE to the present. 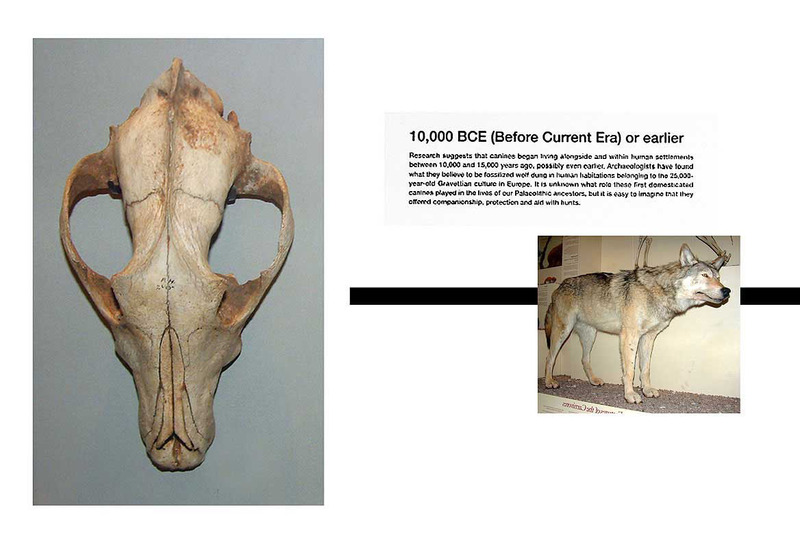 As a beginning to the visual journey, photographs of wolves referred to ancestral canines found within several Neolithic cultures. Poultry and other livestock followed with the development of crops. Images of Egyptian, Near Eastern and pre-Columbian artifacts demonstrated the role of domesticated organisms as a subject in early art. By the Victorian Era, Sir Robert Bakewell’s ‘improved’ breeds of sheep were eventually succeeded by pictures of ‘Dolly’ the first ever sheep clone. 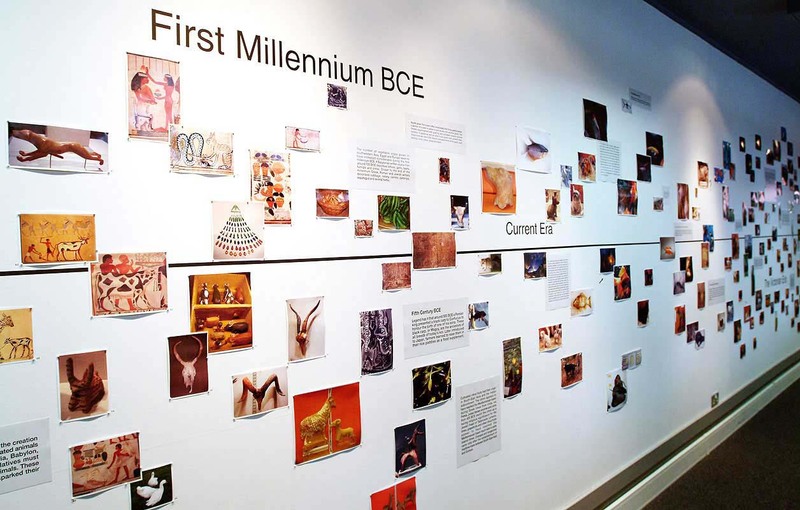 An interactive online version allowed participants from all over the world to add images into the timeline. 2. 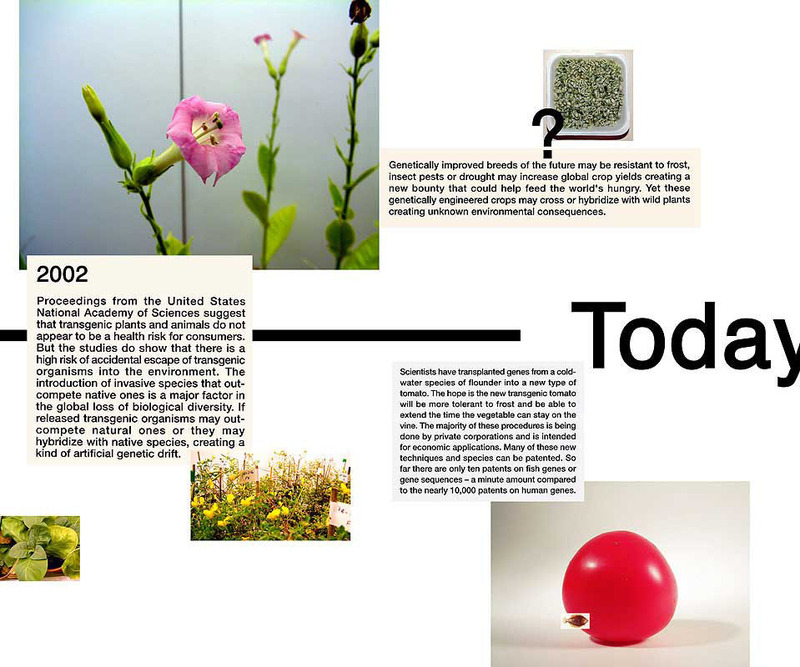 Recent advances in biotechnology are rapidly changing our approach towards nature and ourselves. 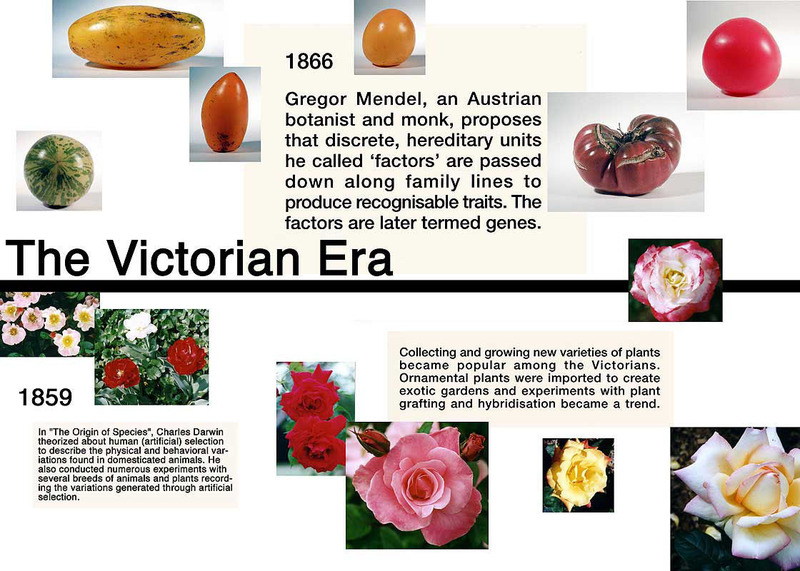 In the near future, we will create new genetically altered species of plants and animals that may increase global food production. Eventually, we may be able to redesign our own species, conceivably eliminating illnesses and extending life. Yet with these new technologies come new concerns. Recent proceedings by the United States National Academy of Sciences have demonstrated potentially disturbing environmental impacts caused by GM species. The lack of a scientific consensus on GM food safety increasingly concerns the public. In addition to these risks, complex moral and ethical questions arise. By polling viewers, I have generated statistical data reflecting popular opinions about biotechnology. This information was later be used to generate an artist’s book. 3. 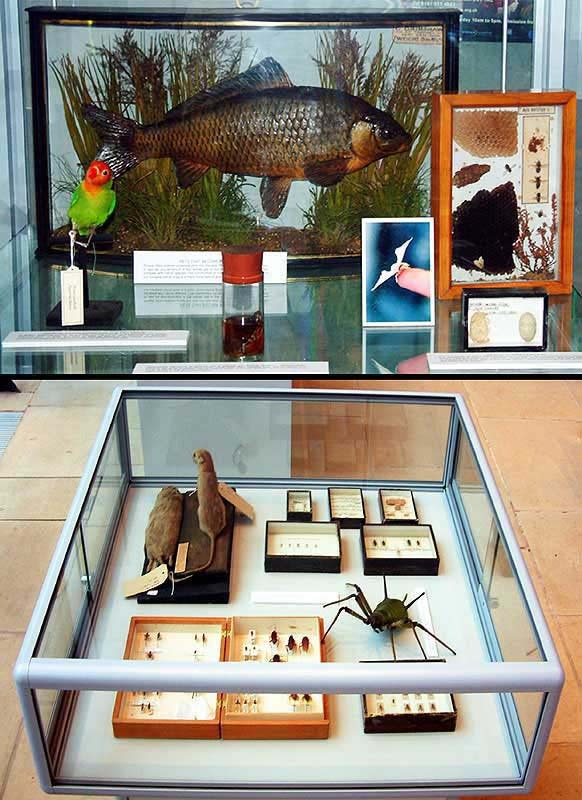 Collaborating with members of the museum’s curatoral department, a selection of preserved specimens were also exhibited. 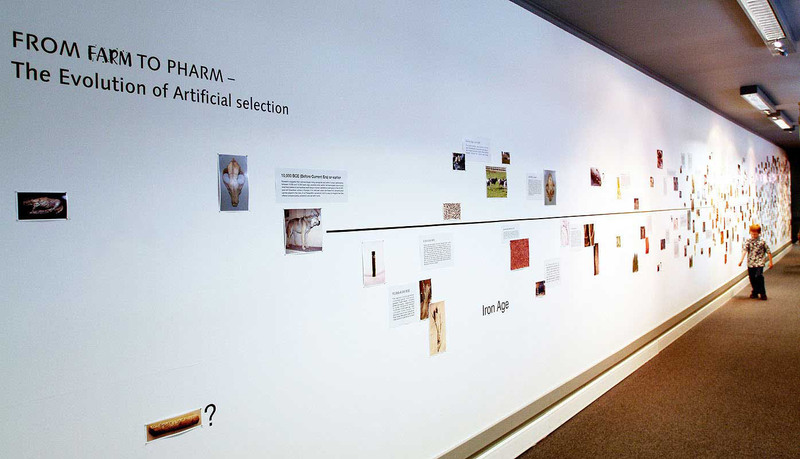 Ranging from pets to pests the specimens were displayed to further expand the concept of artificial selection and modification under human created environmental pressure. Objects include taxidermy hybrid pet birds, 19th century cast goldfish, phenotype variations in silk-moths, and several evasive non-native species.